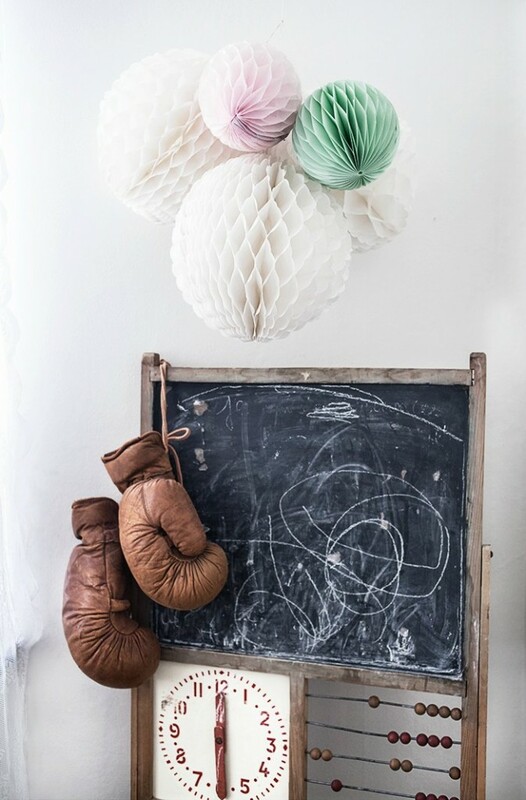 Tired of the basic pink or blue kids room decor? Or how about the overly done neutral minimalistic look? If you are looking for a fresh and fun way to redecorate your kids room, why not try out a bohemian decor? A bohemian room lets you be as creative as you want; the only rule is that there are no rules! Mix and match colors, patterns, vintage and new pieces and add your personal mamma-touch to make it your own. 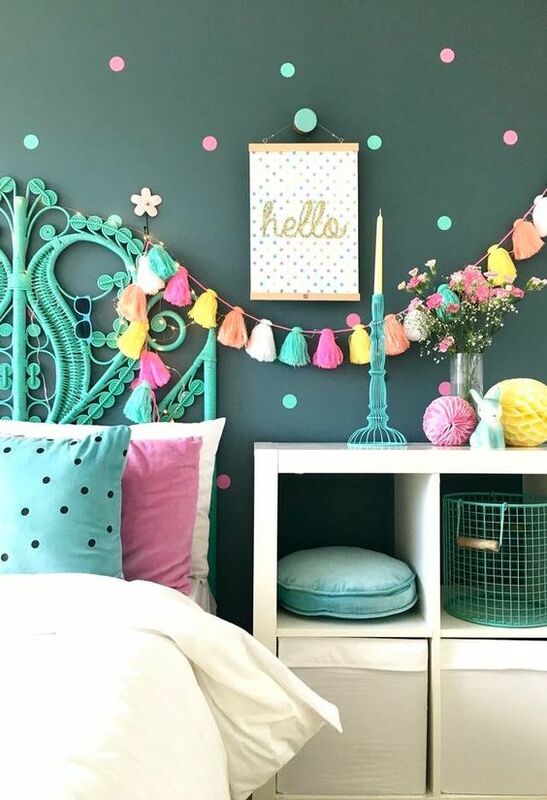 It may feel a bit overwhelming to get started but don't worry, we bring you the 5 MUST-HAVES that will transform your kids room into a bohemian dream in no time. Think of your kids room rugs as both functional and decorative. Especially for little kids; they spend most of the time playing on the floor and an area rug is a great way to keep them warm and providing a comfortable support. Choose a rug that is made of natural materials, like our frazada rugs from Peru. They feature wonderful color combinations, from neutrals to bright pinks and oranges and they are always one of a kind. Frazada rugs are also a great way to bring texture into the room. They are made of sheep wool and natural dyes. These area rugs are a great focal point and the right starting point to decorate your kids boho room. Now that you have a nice colorful rug in the room, the next step is to pick some decorative throw cushions. You may take some of the colors of the rug for a cohesive look, or you may use some prints that go well with the rest of the theme. Different sizes will be key in bringing the bohemian room vibes. A fun way to decorate with throw cushions is to pile them up on the floor. Click here to check out our collections from Peru and Mali mudcloths. No boho room is ready without a few plants. Indoor plants bring beautiful green hues to the room and they are a great way to teach kids how to care for them. It's important to find the right plants for your space. Some plants need more light and water than others. Check this cheat sheet for some ideas. Both functional and stylish, baskets are great for storing toys, laundry or blankets and they look better than storage boxes or laundry bags. We suggest adding a couple of baskets in different sizes. 5) BOHO ELEMENTS: Now that you have your room set up with the basic decor items, you can add the last boho touches to bring the theme together. What are the key elements that your kids room need to breathe bohemian decor? - Teepees (or Tipi): A teepee is a playful accessory that is always popular with kids. They are easy to put together and they don’t take as much room as you might think. Fill it with cushions, their favourite toys and a blanket and they will be set for hours! We love the Teepees from Wild Teepees; check them out here. 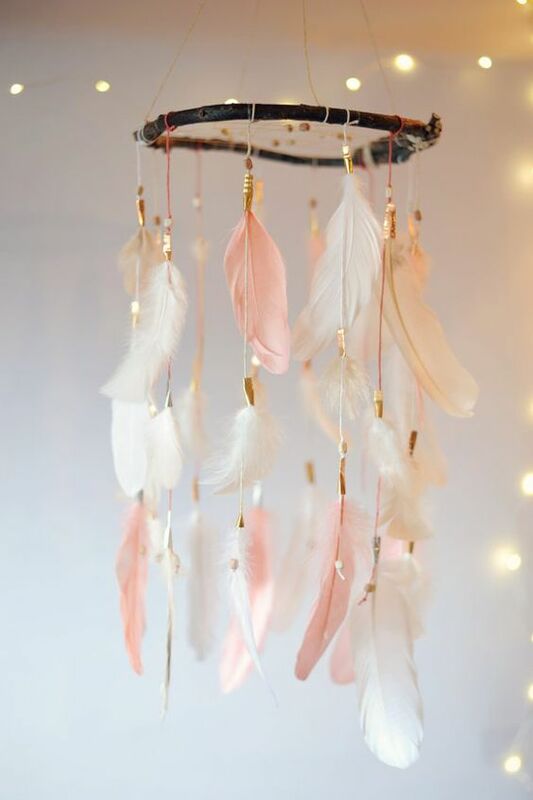 - Dream Catchers: Probably one of the first things that come to mind when you think of a boho room. Nowadays there are so many options for dream catchers; sizes, colors, with or without feathers, stones, crystals.. there really is one for every taste. For custom dream catchers, check Jennifer Evelyn Designs' Instagram page or for one similar to the one below with feathers check Imake.it, also on Instagram. - Party Accessories: I have found some inspiration photos where party accessories such as garlands and honeycombs are used to bring in a whimsical colorful vibe to kids rooms and I love it! Who says you can only celebrate with fun decor on your birthday? Bring in a playful vibe with some party decor. The selection at Make Merry Shop is our favourite! - Wallpaper: If your budget allows, having an accent wall with a fun boho wallpaper will be the ultimate room highlight. Play with boho themes such as arrows, triangles, feathers, plants or animals. The selection at Urban Walls is quite amazing; they have everything from gorgeous florals to geometric shapes and cute patterns like these arrows below. I hope this post was helpful and it gave you the ideas you needed to get started on that bohemian decor for your kids room. If you are on Instagram, tag @matriahome on your project and show us how you brought in the bohemian vibes to your home!